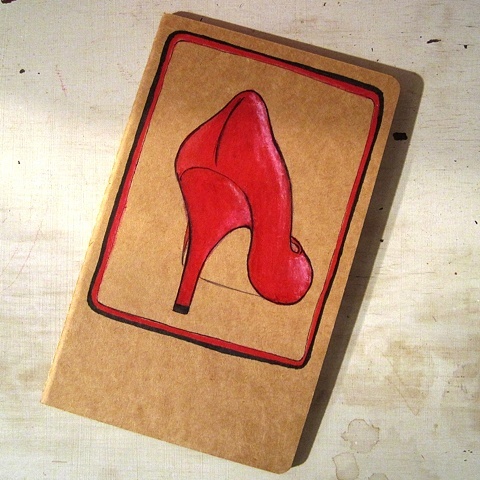 A single red heel on a large Moleskine Notebook, hand drawn artwork by Linda Boucher. I really love Moleskines- the paper is really lovely creamy coloured and smooth... so your pen or pencil sort of glides. The last 16 pages are perforated, so you don't have to destroy the whole book if you need to rip something out, and there's a little pocket in the back to keep things in. This notebook would be a great gift for the shoe lover in your life!